It didn’t take long. Fortunately Donald Trump’s first diplomatic faux pas involved America’s closest and most forgiving ally. But Donald Trump’s tweet that Britain appoint UKIP leader Nigel Farage as British ambassador to Washington won’t be forgotten. An ambassador is sent from one country to another to represent their country’s interests, not the interests of the country to which they are sent. The last person you want to send to your closest and most important ally is your political opponent. They are highly unlikely to fairly represent the view of a government with which they disagree. Next, there are diplomatic conventions and there are reasons for those conventions. One of the conventions is that a foreign leader does not publicly request that a citizen of another country be appointed ambassador to their country. And, you really can’t get more public than twitter. You can privately, discreetly, ask, but not publicly. Why? Because it puts the government of the other country in a very difficult position. If they don’t approve of the person then they either offend you by not making the appointment or they weaken their domestic position by being seen as an American puppet. 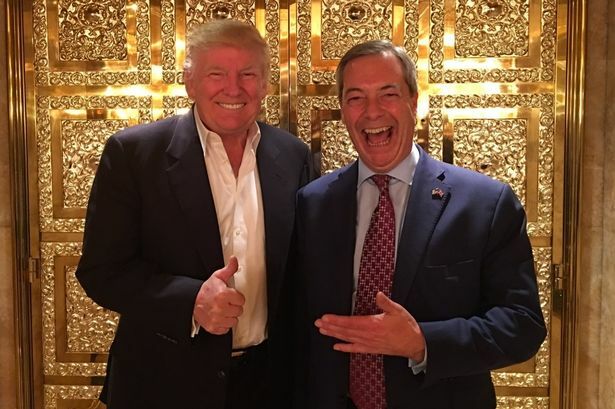 Trump and Steve Bannon may be enjoying a major bromance with Nigel Farage, but rest assured that the man is very much unappreciated by the vast majority in his own country. His every attempt to be elected to the British parliament has failed. During the referendum campaign he had to run a parallel leave campaign because the official leave campaign refused to be associated with him. His party—the UK Independence Party (or UKIP as it is commonly known) is embroiled in a major internal battle—so much so that one of the leading figures ended up in hospital after a fight with another UKIPer. They did elect a replacement for Farage but she resigned the leadership after only 18 days and this week she quit the party altogether. Nigel Farage has reluctantly stepped back into the leadership role on an interim basis while they argue amongst themselves. Despite the internecine war, UKIP did garner 12.5 percent of the popular vote in the 2015 election. To obtain that vote they undermined the power base of the two main political parties—Labour and Conservative. So both of those parties oppose Farage not just on policy issues but on political grounds as well. The Government—backed by every MP except the sole UKIP member– do not want to be seen as being viewed as an American puppet, and they don’t want to provide Nigel Farage with a platform for attacking UK policies in the middle of difficult Brexit negotiations. There are very good reasons for diplomatic conventions which extend back thousands of years. Just imagine how difficult it is to co-exist with your neighbours, especially those who give loud parties or have children who regularly crash balls through your windows. Imagine trying very hard not to lose your temper and searching for the words that prevent a local difficulty from spiralling out of control. Now imagine that the neighbours don’t speak your language. They wear strange clothes. Their religion is different and their native culture alters their methods of problem solving. On top of that, they have a large family incapable of agreeing on anything. Finally, imagine that this neighbour with a large argumentative family, different language, culture, religion and perspective on the world has a massive army camped in their garden. Perhaps now, you are getting an idea of why it is so important that diplomatic business is conducted according to agreed rules, quietly and not on public platforms. So will someone—please—for the sake of world peace—close Donald Trump’s twitter account. 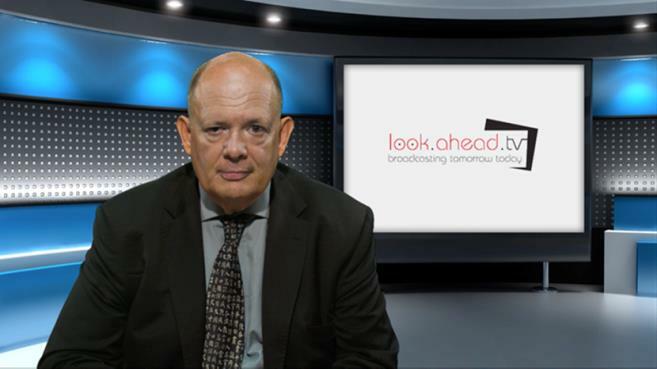 Tom Arms is a broadcaster and columnist focused on world affairs. His regular wold affairs podcast can be heard at www.lookaheadnews.com. He is also available for lectures and speaking engagements.